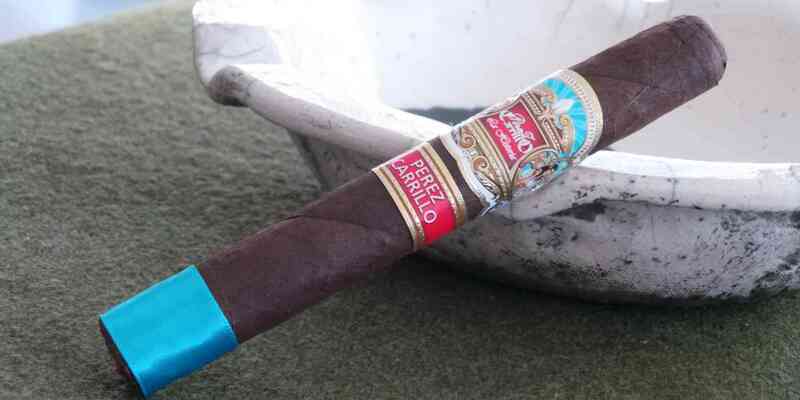 The La Historia, from EP Carrillo, was recently released to the marketplace. Knowing that I am generally a fan of San Andres leaf, and drawn to the beautiful packaging, I picked up a couple to try on my last trip to the local shop. I’ll admit to being led to buy a new cigar with cool packaging. Without substance, however, no amount of dolling up can sell me another. “Chrome won’t get you home,” as they say back in TN. The line was produced in three vitolas – Dona Elena (6.125×50), E-III (6.875×54), and El Senador (5.375×52). Today, I’m taking a look at the Dona Elena. It carries a Mexican San Andres wrapper over Sumatran binder and Dominican/Nicaraguan fillers. The Dona Elena retails for about $8.25 per stick in the Tampa market. I’ve had two of them so far, with review notes from the second. In appearance, the wrapper leaf is quite dark, and essentially even in coloration. Some reddish mottling is present, but nuanced. Oil on the wrapper is moderate, giving it a supple but bumpy texture. 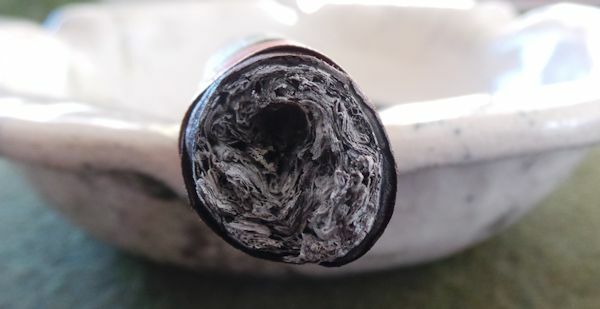 While the veins are significant, the seams are well disguised by its coloration. The pack was very even on the first, but I feel some lighter pack density at the head of example number two. A true triple cap has been applied, although a bit wrinkled around the edges of the cap proper. As a side note, you may need to take extra care when removing the bright blue foot band as both mine were very tightly taped and needed the care to avoid damage. Before lighting, the draw is exceptional in terms of density but light in flavor. It’s somewhat nondescript, but if pressed I’d call it a slightly sweet hay flavor. The aroma is faint as well, with hay on the wrapper and some slight pepper at the foot. With the first few puffs from La Historia, I’m greeted with considerably more spice than that which I’m accustomed with typical EP Carrillo faire. The early flavors are intense, like a high-cacao dark chocolate, with some accompanying dryness on the palate. Maybe I paid less attention to the first of these I had, but the second is producing voluminous amounts of smoke. Progressing through the first third, the spice subsides a bit but can become shrill with too frequent retrohale. Throughout the midsection of the La Historia, the flavor waxed and waned considerably. While the initially brighter, cacao-like flavor persisted, some sweetness crept in during this portion of the smoke. This sweetness meandered into some leather at times, and even a hint of nuttiness, but never developed into dominance. During this section, the burn continued to wander, and when ashed I noticed a void where presumably a faster burning leaf had been. This was more observational than practical, as no further tunneling presented. Coming into the home stretch, I found a sweet crescendo in both examples. 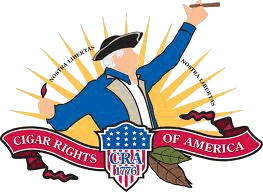 In fact, I would (at this early point in the cigar’s history) consider the final portion of the stick to be my favorite. The leathery mid profile, coupled with this growing sweetness, is very pleasant albeit short-lived. The cacao still washes across the palate with the majority of puffs, but has softened quite a bit from the earlier minutes. Also noteworthy during this time is the burn. Despite earlier inconsistencies, the burn improved greatly as I neared the end of both cigars. I am impressed that the cacao stuck around without straying into bitterness during the final moments of the smoke. I smoked it down to a small nub, which is unusual for one often sensitive to the ashy profile that can sometimes develop with San Andres leaf.